Sound Precision Entertainment provides custom gobos for an impressive one-of-a-kind design on walls, ceilings or floors. A gobo is a laser-cut steel stencil placed in front of a high-powered light to project a desired shape. Popular wedding gobo designs include monograms, names, dates, hearts and flowers. You can even use your own artwork for a truly unique gobo design! 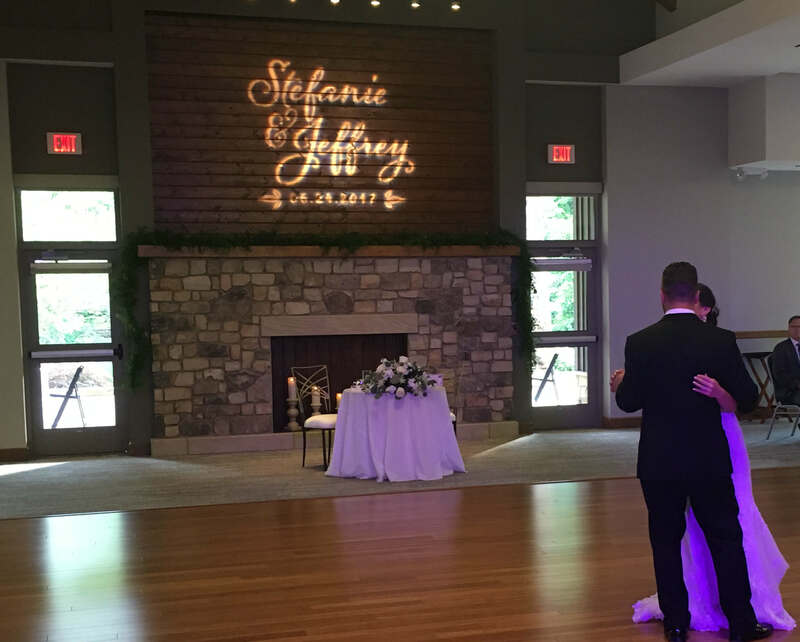 A gobo is a great way to create a signature look for your wedding that you can coordinate with invitations, programs, decor and more. The gobo creates the perfect focal point for pictures and special moments, such as cake cutting, first dances and speeches. SPE has a variety of lenses that create an array of different looks and colors.